This is perfect (by "perfect", I mean horrible, obviously). The first thing I thought about after I parsed through all of the facts involved in Ferguson was "What does DJ Khaled have to say about this?" Thankfully, I will get my answer along with the answers from roughly 28 other rappers. 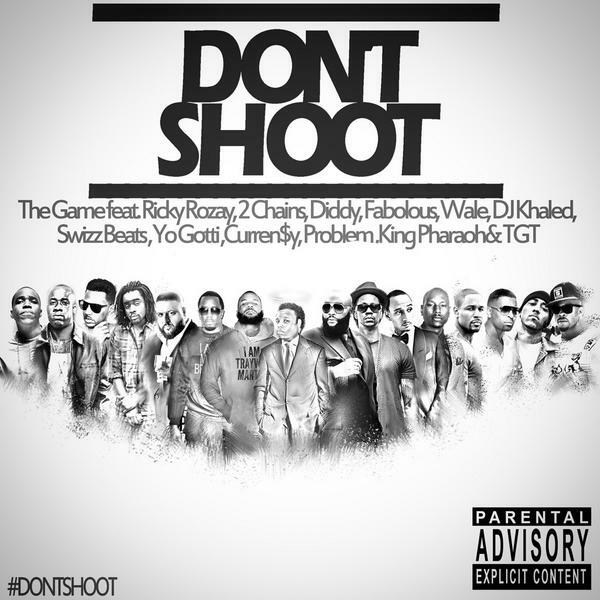 Is a 47 minute rap song about the wrongful shooting death of an unarmed teenager in poor taste? Perhaps. But what IF, in the shocker of all shockers, Tauheed '2Chainz Tity Boi' Epps drops such an eloquent introspective view on the matter that it puts Don Lemon in tears? Not positive, but I'm pretty sure that would end racism. Imagine you're King Pharoah or TGT. Not too well-known, trying to rise the ranks of the rap world and THIS is your first track. Can't get all lyrical and double-entendre'y when deep-seeded social issues are in play. Rock and a hard place for those guys.